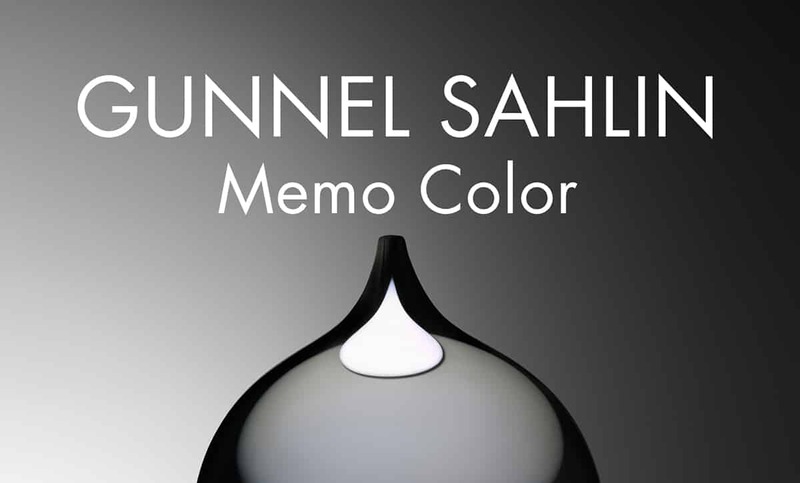 Gunnel Sahlin is among the glass artists who gave Sweden its name as one of the world’s leading glass nations. Born in 1954, she is currently active as both an artist and a designer. Britta Nordström’s documentary about Gunnel Sahlin is entitled “I would like to be a peony.” The title is fitting, because if anything has shaped Sahlin’s artistry, it is indeed her interest in plants and nature. Already at the age of twelve, she visited the library in Umeå regularly to page through Bertel Bager’s poetic picture book “Nature as Designer” (“Naturen som Formgivare”). That was probably when her interest in plant families and their Latin names was born. After preparatory studies at Nyckelviksskolan, Gunnel continued her studies in the textile department at the University of Arts, Crafts & Design. She found an outlet there for her talent for color and for her degree exhibition in 1984, she developed an impressive three-dimensional world of form with inflatable plastic objects. As one of the brightest talents, she was then hired by Katja of Sweden in the US – one of Sweden’s best-known international designers of all time. There, above all, she had the opportunity to develop her textile pattern designs. Expressive Marimekko fabrics awakened Gunnel Sahlin’s passion for color early on. In 1960s Umeå, where she was raised, she was also surrounded by handicrafts and the care that distinguishes handmade objects. The Kosta Boda glassworks had a new executive who felt the company needed a younger image. He found Gunnel Sahlin in New York in 1986, hired her, and gave her free rein. 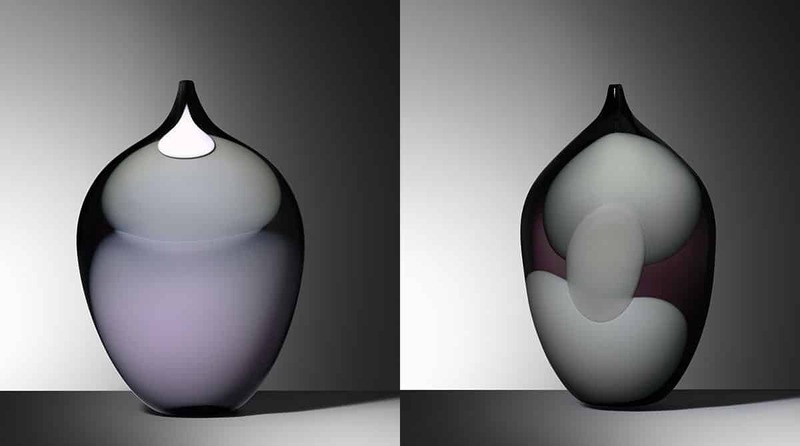 Gunnel’s delight in color and shape contributed to the Kosta Boda brand gaining new significance – her liberated view of glass design was as far from the reverence of crystal as one could get. In 1990, she joined the Åfors glassworks, where she worked for 19 years. Her series of glass fruits, “Frutteria,” was a particular sales success. From 1999-2004, Gunnel Sahlin simultaneously worked as a professor at the University of Arts, Crafts & Design in the ceramics and glass department. Since 2006, Gunnel Sahlin has worked as an artist and designer on a freelance basis. 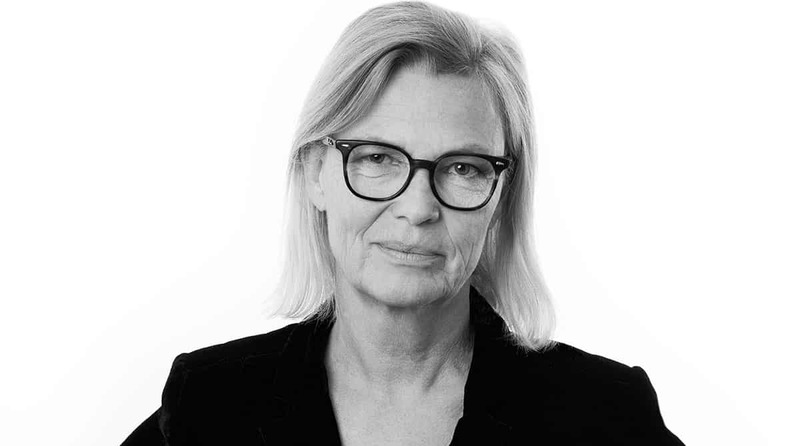 In addition to glass, she has designed car seat upholstery, rugs, lamps and porcelain, not least for Ikea, Kasthall and Åhléns. In 2014, Konsthantverkarna invited her to create a glass exhibition, and thus began a new chapter with roots reaching backward.  The exhibition, “Hortus Poetica,” was not only Gunnel Sahlin’s return to art glass after an eight-year absence; it was also a veritable success. Reviews of the show discussed the “twenty glass pieces which must be among the best pieces made in Sweden in the past decade.” The play between color and form was subtle and the convergence of colors was sublime. The title of Gunnel Sahlin’s latest show is a testament to the blossoming of her interest in gardens and nature over the years. “Botanical reflections” was shown in 2018 in Flen, which is now Gunnel’s home region. In an old schoolhouse with an enormous garden a few kilometers outside of town, she spends her time on art and gardening. Gunnel Sahlin is searching for the untamable, primal power she believes is present in both nature and glass. That is what she wants to access.